MAN 1 had some special visitors from America this month! 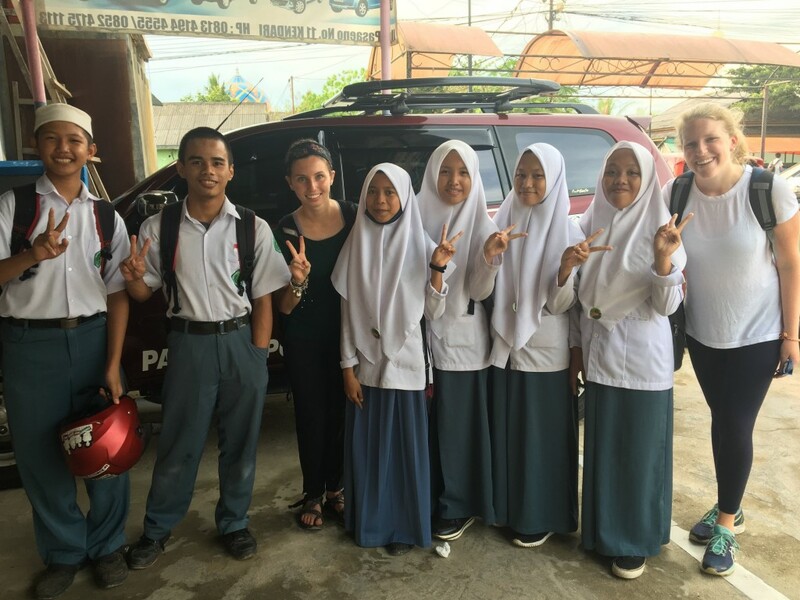 ETA Meghan Cullinan had two of her college roommates visit Kendari, Indonesia to meet her community and share in her Fulbright experience. Her friends spent three days in her school with her students and co-teachers, who were excited to meet and learn about her friends. Her friends helped her lead activities in class and assisted students as they worked on activities such as solving mysteries and writing their own mysteries. One of Meghan’s friends got a personal tour of the traditional market by the MAN 1 English club. The students explained traditional ingredients, market culture, and the vast variety of fish unique to the market. Meghan was proud of her students for being confident to practice their English by sharing their own culture. It was also fun to watch the sellers at the market observe their English club field trip. Hopefully, they learned some English too! 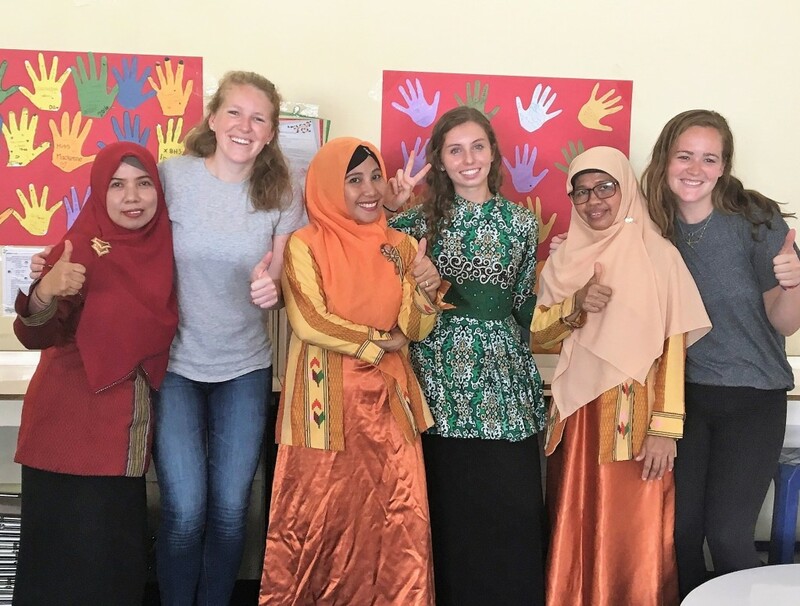 Beyond her school community, Meghan’s friends spent time engaging with Meghan’s friends such as her Indonesian language tutor and other Fulbright/AMINEF alumni. Watching her friends from college meet her Indonesian friends was an incredible experience that Meghan will remember forever. She feels grateful for the warmth and enthusiasm of the Kendari community in helping her welcome such special visitors. Her friends’ visit reminded Meghan how special it was for both her and her community.